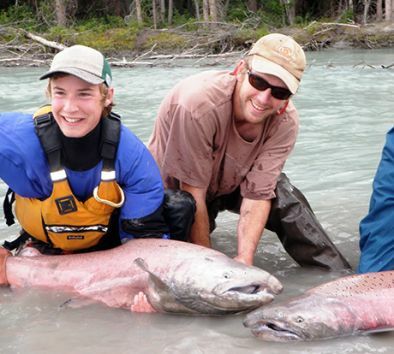 Enjoy a half-day of fishing for famous Alaska salmon. This is world-class fishing for King and/or red salmon in the pristine rivers of the Copper Valley. Float the scenic tributaries of the famous Copper River and fish from the riverbanks under the watchful eye of professional fishing guides.